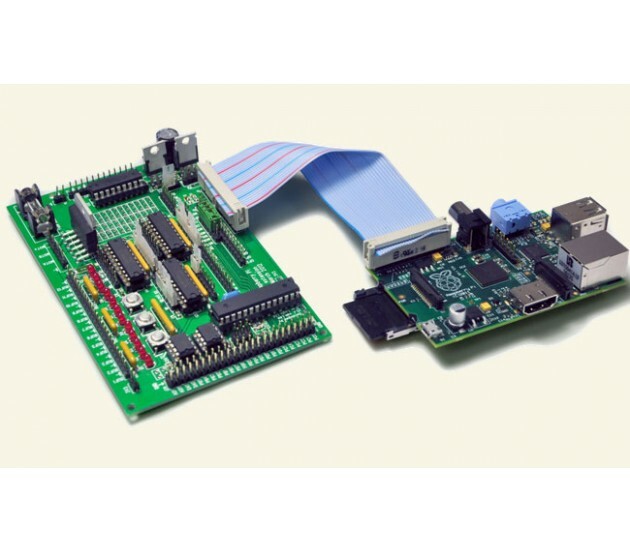 The Gertboard™ is an add-on board that extends the use of Raspberry Pi to devices in the real world,/lamp control, and the sensing of voltages and currents. It also contains a host micro that can be programmed with code written and compiled for it, including motor on the Raspberry Pi. Learn more.